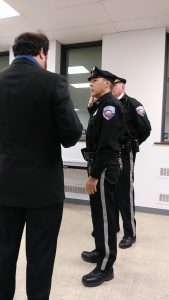 Council voted to hire Edward Radlow as a new part-time police officer to join the Morrisville Borough Police Department. Mayor David Rivella swore-in Officer Radlow with Chief George McClay at his side. ©Copyright Morrisville Borough. All Rights Reserved.